'Fire and Ice' by David Sidwell - DPC Prints! Taken in Arches National Park at sunset in Winter. 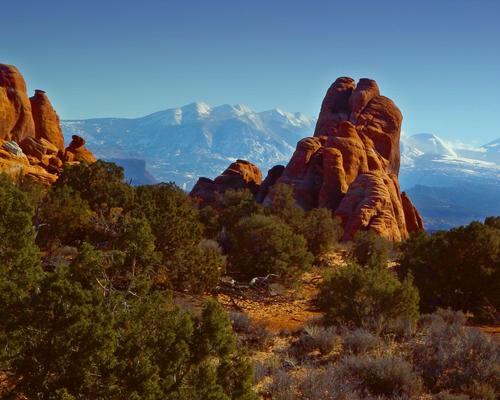 I like how the firey red of the sandstone contrasts with the ice blue of the distant La Sal Mountains.